LIVINGSTON – Naming the next superintendent of the Livingston Parish Public Schools system is on the agenda for the School Board’s meeting on Thursday, April 18. The meeting begins at 7 p.m. at the Central Office. The board, meeting as a committee of the whole, spent 7 hours on Monday, April 15, interviewing the five candidates. After the interviews, the committee/board went into executive session. When it came back into its open meeting, the panel voted to adjourn, without announcing a choice. 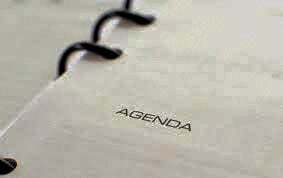 According to the agenda, board President Buddy Mincey Jr. will present a report from the committee of the whole. If the board agrees on a successor to retiring Superintendent Rick Wentzel, the choice will have five days to accept or decline the offer. • Bruce Chaffin, supervisor of personnel. • Joe Murphy, assistant superintendent. • Jody Purvis, supervisor of high school instruction. • Dr. C. Michael Robinson Jr., senior associate with BRP Associates, Jonesboro, Ga.
• Dr. Elizabeth Duran Swinford, chief executive officer, PD Remix, Forest Hills, N.Y.
• Lauren Politz, of Holden, Division V state powerlifting champion and outstanding lifter. • The recipients of Albany Masonic Lodge 466’s Honesty and Integrity Award. • 2019 Louisiana Sports Writers Association winners.